Strengthen your brand identity through premier labels, hang tags, garments, fabric trims and promotional products. 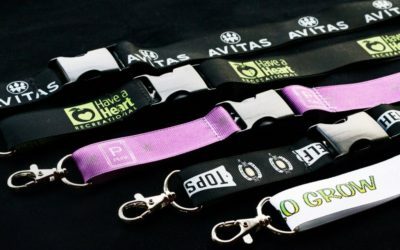 Our Mission at Seattle Garment Exchange is to strengthen your brand identity through premier labels, hang tags, garments, fabric trims and promotional products. 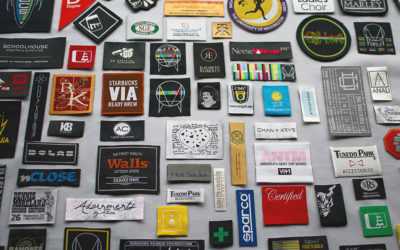 Since 1997, Seattle Garment Exchange has led the way in Brand Identification with Woven and Printed Labels. With three generations in the garment industry, S.G.E. continues to provide the finest in premium garment labels in the Pacific North West. Our Success, in the garment industry for the last 25 years, is the result of establishing long-lasting professional relationships with our customers. By getting to know the people behind the brand, we as a team can make your ideas into reality! As industry trends evolve, genuine brand identity is paramount to stand out amongst the competition. We would love to be a part of your next big idea and product! Woven labels offer an affordable way to capture your audience with elegance! 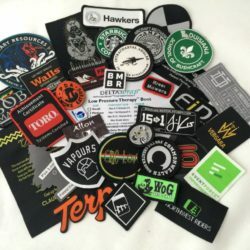 With a vast array of Woven label fabrications to choose from, we at Seattle Garment Exchange work with you to carefully identify the most effective style, substrate, finish and cut for each order. This is to ensure that we produce the most appropriate and effective label for your brand. Printed Labels are a great alternative to woven labels. Achieve fine detail and creative versatility with wider range of printable substrates. Make your labels jump out with all the vibrant colors offered from the Pantone Color Collection. Woven patches offer a great economical alternative to embroidery. 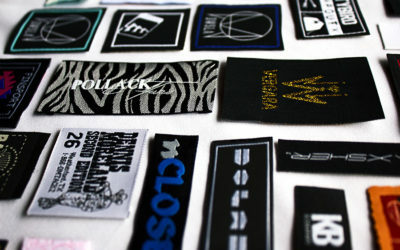 Woven patches are ideal for a very discerning designer. Our patches are available in damask, taffeta, silk, and cotton. Our processes include laser die cut, traditional die cut, and merrowed (sewn edges). Embroidered Patches are the pinnacle in detail, design, and presentation. Take your label to new heights with 3D detail and dimension with 3D Embroidered Patches. We respond to all inquires within 24-48 hours. We can provide a digital proof within 48 hours & a physical proof within 5-7 business days. Our traditional production lead time is 14 business days. We do offer an Expedited Rush Service with a minimum Rush Fee of $75.00. Once the payment terms have been met, we then ship order at the expense of the client. We can provide a digital proof within 5-10 business days & a physical proof within 10-15 business days. Our production lead time varies between is 20-45 business days dependent on the product & product quantity. We do offer an Expedited Rush Service with a minimum Rush Fee of $200.00.